Windows XP is the operating system used. StoryServer uses it’s own proprietary GUI system. 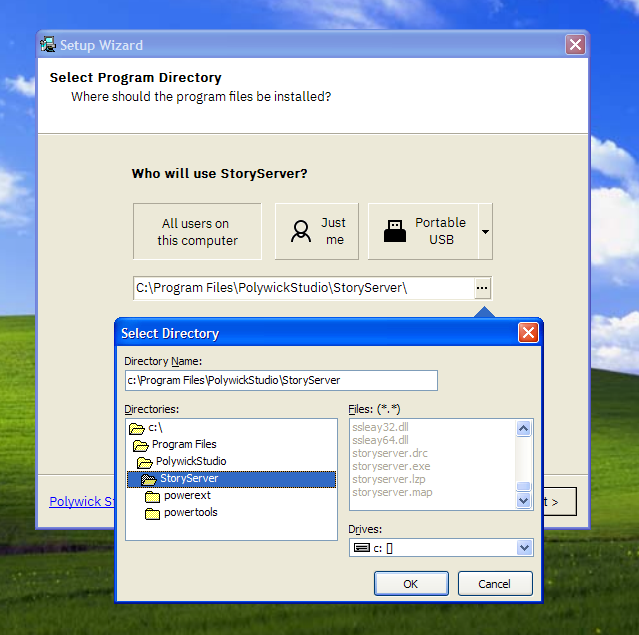 While every effort has been spared to make StoryServer compatible with Windows XP, the developers of StoryServer cannot guarantee that future versions will be compatible. On a LCD screen, the fonts may look jagged. 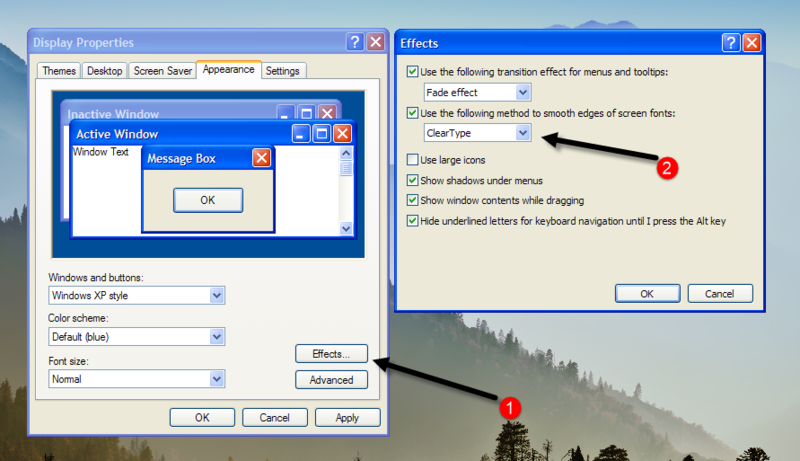 In order for your fonts to look smooth, enable ClearType. Click on the Effects…​ button. Click on the drop-down and select the option "ClearType". In order to save your StoryServer files, please ensure you use the "My Documents" folder. Do not save your StoryServer files to the root (C:\) or in the Program Files (C:\Program Files) folder. Windows XP may not allow you to save to those locations. StoryServer’s documentation is all on-line. StoryServer does not use WinHelp nor HTML-Help (CHM). If you run out of resources, see the below resources to increase GDI-space 'resources'.